There's a chill in the air throughout much of CanadaThe great Canadian myth is that we all embrace the cold weather and get outside for winter activities, and for many of us that's true. But a large group of people will also be spending less time outdoors in the coming months as the cold proves daunting in many places. If you're more of the "hibernation type," keeping your space beautiful and inviting is crucial to maintaining your energy and happiness. While there's no substitute for the warmth of the sun, here are 5 bouquets that will warm your spirits up regardless of how far below 0 the weather is outside. 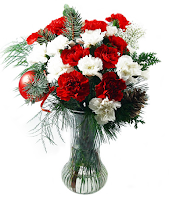 Just in time for the holidays, the Winter Classic Bouquet sparkles with the colours of the season. A gorgeous mix of 12 White and 12 Red Carnations, this arrangement will have you feeling festive. Ideal for Hanukkah celebrations or any other occasion, this unique bouquet features a lovely assortment of cream roses, Chrysanthemums, Alstroemeria, White Lilies and more. 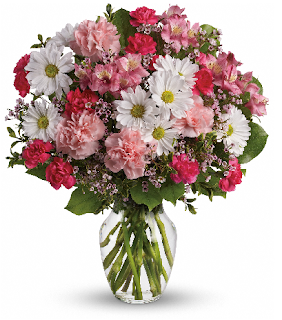 The Sweet Tenderness bouquet is a gorgeous assortment of many types of flowers, including Pink Alstroemeria, Pink Carnations and Mini Carns, trendy White Waxflower, 2 stems of Daisy Chrysanthemums and assorted greens. 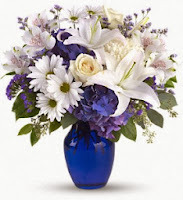 It's quite a fragrant bouquet, perfect for bringing the outdoors inside. 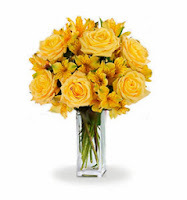 Our Heavenly Sunsets bouquet is a yellow bouquet featuring 10 stems of wonderful Yellow Alstroemeria paired with 6 Yellow Roses for a bright, vibrant look that brings light and colour in to the room. 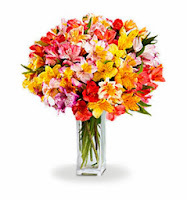 This arrangement brings an incredible variety of colour in to your living room. Alstroemeria is sometimes known as a Peruvian Lily, and this bouquet is an exquisite display of why these flowers are gaining such popularity in Canada. There's a chill in the air throughout much of Canada. The great Canadian myth is that we all embrace the cold weather and get outside for winter activities, and for many of us that's true. But a large group of people will also be spending less time outdoors in the coming months as the cold proves daunting in many places.